Matte Red Lipstick Showoff! Which Is The Best? (Tarte, Huda Beauty, Anastasia, Maybelline) - Filosophie! I did a thing over at the Dub Loft which was pretty fun for me. I got to test out a bunch of lippies! 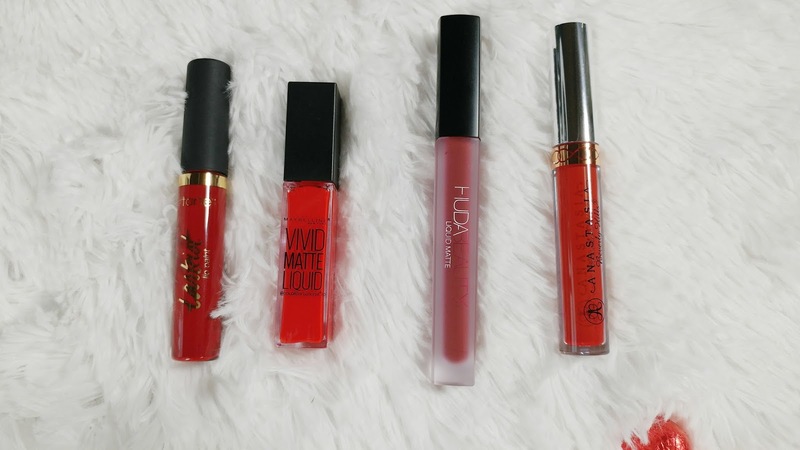 Specifically, some matte reds (because you know Valentines is right around the corner!). Now my lips are perpetually dry so I generally don't wear matte lipsticks, these (or most) were actually quite nice to wear. My favourite, colour wise, was the Huda Beauty lipstick 'famous'. 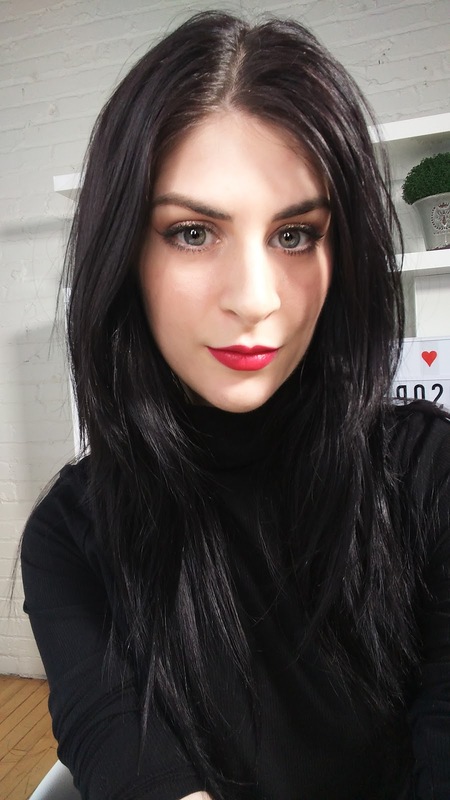 It's a delicious dark berry red shade and I'm all about dark lips. BUT, overall, I think Tarte's 'cheerleader' gets the goal. It was comfortable to wear, dried quickly but not too quick that application was horrendous and had NO TRANSFER! The lipsticks in the video are: Tarte 'Cheerleader', Maybelline 'Rebel Red', Huda Beauty 'Famous', Anastasia Beverly Hills 'Serafine'. Links are to Sephora or related site. 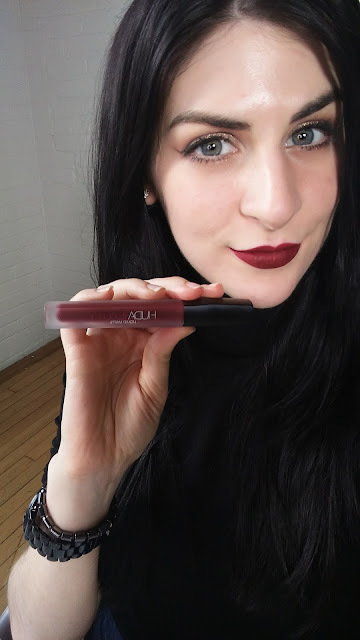 The Huda Beauty lipstick, while I loved the colour, did have transfer. I wore this one out of the studio, went to eat after wards and it didn't last a meal time unfortunately. I never really expect any lip product to last a meal to be fair. I was pretty shocked by Tarte's matte lipstick. I've tried Inglot's and MAKE UP FOR EVER's, both which are super comfortable to wear but any other one I have tried I have wanted to rub off quickly. This one was great! Would definitely grab a tube of this. The one I was most disappointed with was the Maybelline one. It's more of a cream matte. It doesn't dry down and there is some transfer. The good side to this is it won't dry out your lips and can wear more comfortably. However, if you're specifically looking for matte, I would opt for a different brand.